Shadow chancellor John McDonnell said that the Labour party would not rule out further confidence votes if Theresa May wins the one scheduled for Wednesday evening. He also reiterated that a second referendum is one avenue the Labour party is pursuing. 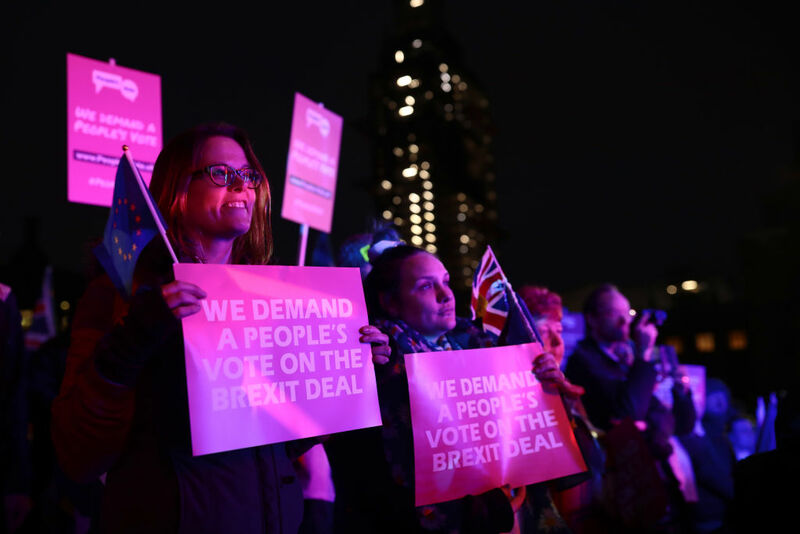 “[A second referendum] has always been a plausible outcome. All of the routes we’ve pursued so far have been plausible,” he told talkRADIO. Mr McDonnell said he feared that Mrs May would not “engage” with other MPs following her defeat on Tuesday, after which she said she would be consulting with other “senior parliamentarians” about the next steps. “She’s incapable of negotiating a deal, and she’s failed in any way to engage with other political parties. It looks as though she’s making a the same mistake again,” he said. Despite it being widely acknowledged that Jeremy Corbyn’s preferred position would be a general election rather than a second referendum, Mr McDonnell said the leader would back another vote. Other reports suggest, though, that his spokesperson denied the party would officially push for that. However, Mr McDonnell said: “Jeremy Corbyn is backing a second referendum as part of the package we agreed at the Labour party conference. Asked what his feelings were on the defeat, in which 230 MPs voted against Mrs May’s deal in the biggest majority against a Prime Minister in recent history, he said he was “stunned”. He said another no confidence motion could be called “if appropriate”. “We’ll have this motion today. I hope we win it, if we don’t we’ll then look at what happens next week when the government comes forward with its motion,” he said. “We’ll try to amend that, if we can’t amend it there’ll be wider discussions in parliament because I don’t think the government will get its proposals through either. “Then we’ll look at what the staging of the next no confidence motion would be if it’s appropriate. No one can [rule out additional motions of no confidence] because we might well be in a position where the government flounders yet again.